Here’s how you can help Indianapolis Colts tight end Dwayne Allen win $20,000 for his favorite charity, DREAM Alive, Inc., and it won’t cost you thing. All you have to do is use the hashtag #AllenWPMOYChallenge on all your social media accounts between now and Dec. 31. Read on for the details. Dwayne is the Colts’ nominee for the NFL’s Walter Payton Man of the Year Award, given annually to a player for excellence on the field and for charitable work in the community. The nominees, one from each NFL team, represent the best of the league’s commitment to philanthropy and community impact. Since 2013, Dwayne has served as the player executive for Dream Alive, Inc., an Indianapolis-based nonprofit that equips urban youth to become leaders by providing mentoring relationships, character development and experiential learning. Dwayne has helped raise nearly $200,000 for DREAM Alive while mentoring many DREAM Alive scholars. To celebrate all 32 award nominees, Nationwide, the award’s presenting sponsor, has launched the inaugural Charity Challenge. The player generating the most social media mentions using a unique hashtag will win a $20,000 donation to their charity of choice, courtesy of Nationwide. An important deadline affecting the continued funding of maintaining our nation’s roadways looms just around the corner. The US House of Representatives faces an October 29, 2015, deadline to pass a multi-year bill to fund the Highway Trust Fund (HTF) or the program will shut down. The Highway Trust Fund was set up in 1956 to pay for building and maintaining the nation’s roads, bridges, and transit systems. Today, the fund acts as a national bank account, reimbursing states for improvement projects upon completion. That bank account is running on empty and has been for years, as our political leaders struggle to find a long-term funding solution. Current state: Currently, an 18.4 cent-a-gallon gasoline tax and a 24.4-cent-a-gallon diesel tax funds the Highway Trust Fund. This tax has not increased since 1993, and its revenues have not kept pace with our infrastructure needs. While the price of household goods, such as bread, milk, or a new car, have nearly doubled in price, we continue to use a 22-year-old tax to fund road repairs. That tax has lost its buying power, and even worse, less of it is being collected because more fuel-efficient cars are on the road using less gasoline to be taxed. One in nine of the nation’s bridges are “structurally deficient.” This means they are restricted to light vehicle traffic, closed to traffic, or require rehabilitation. Forty-eight percent of American households lack access to transit. An even more alarming statistic comes from the World Economic Forum Global Competitiveness Report (214-2015). It ranks the quality of US road infrastructure as 16th in the world. What’s ahead: In July, the US Senate passed the DRIVE Act, a bill providing six years of funding certainty to maintain and improve our roads and bridges. The US House of Representatives is now on the clock for a funding solution by the October 29 deadline. Chances are, a long-term solution will remain elusive. Congress has passed 34 short-term extensions to fund HTF since 2009. Perhaps this year will be different as more and more road failures gain public attention. Please consider writing your members of Congress urging them to pass a multi-year transportation bill by the October 29 deadline. We can’t afford another short-term solution to address a long-term need. For your consideration: American Structurepoint Vice President Steve Davidson, PE, has written a white paper proposing using interstate tolls to fund much-needed road repairs. I invite you to read “Built to Last: Funding “Our Nation’s Highways.” His solution presents an alternative and fair way for all users to pay for maintaining the transportation network that drives the American economy. DREAM Alive, an Indianapolis-based nonprofit organization that serves over 780 students by offering mentoring and experiential learning opportunities, needs support from many local business to sustain a successful program. Improving the quality of life for surrounding communities, specifically focused on the youth who are the community’s future, is a shared philosophy for American Structurepoint, along with many other local organizations, and DREAM Alive. Earlier this year, we held a career day for DREAM Alive students in our Indianapolis office. We taught them the fundamentals of the architecture and engineering industry through employee speakers as well as via a fun, hands-on activity where the students worked together to build a structure using only raw spaghetti, marshmallows, tape, and thread. Every year, American Structurepoint employees look forward to meeting new and returning DREAM Alive students to help inspire and encourage them to chase after their goals. We are extremely honored to partner with DREAM Alive to develop servant leaders for our community. DREAM Alive hosted its annual Wishing on Stars benefit on Monday, September 14, at Sullivan’s Steakhouse in Indianapolis. This year, the event was hosted by Indianapolis Colts tight end Dwayne Allen with appearances by fellow Colts players, Indiana Pacers, Indy 500 drivers, and other local celebrities. The evening included a cocktail reception, celebrity introductions, dinner, and a silent and live auction for 150-200 guests. To learn more about DREAM Alive and this event, go here. American Structurepoint prides itself in actively participating in the community. We feel it is important to give back to communities that have helped us be successful over the years. Throughout the year, our staff consistently volunteers their time. We understand the importance of giving year round as there is a continuous need for help. We are actively involved with Janus Development Center (http://www.janus-inc.org), a company that provides local individuals with disabilities the opportunity to participate and contribute to their community. This center has had a growing demand for more space, and American Structurepoint wanted to help. Our architects donated time and resources to develop a new master plan for the non-profit organization to efficiently utilize their space. With our help, Janus Development Center can accommodate more clients and activities. American Structurepoint employees also donated their time to work with Elder Heart and Mission 22. These two groups collaborated on a memorial for the 22 military suicides that occur each day. Mission 22 is designed to raise awareness and support for the veterans around the nation. 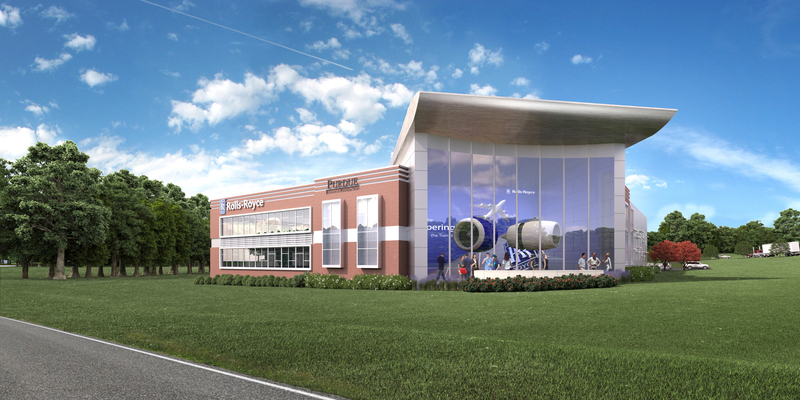 We worked with Elder Heart by providing renderings of a memorial that could be implemented throughout the US. Currently, one statue has been produced. Not only do we help Elder Heart and Janus Development, but we serve other organizations including Gleaners Food Bank, Fuller Center, Meals on Wheels, Dream Alive, and many more. Recently, Seth Maxwell with The Thirst Project visited our office to brief us over the nonprofit organization providing fresh water wells in impoverished countries.We have already sponsored three wells in Africa. With the help of The Thirst Project, we are able to help hundreds of people receive access to clean water. To learn more about our community service efforts, click here. With more than 350 experts working in-house across 11 disciplines, working on a project of any size requires collaboration throughout our award-winning groups. Heidi Gardner, author of “When Senior Managers Won’t Collaborate” in Harvard Business Review, states, “True multidisciplinary collaboration requires people to combine their perspectives and expertise and tailor them to the client’s needs so that the outcome is more than the sum of the participating individuals’ knowledge.” Here at American Structurepoint, we understand the value of working together as a team to provide quality work from concept to completion. To read more about Gardner’s article, click here. Born and raised in southeast Indiana, Joe Schmeltzer always knew he would be an engineer. After graduating from Rose-Hulman, Joe had many job offers out of Indianapolis so he could have his pick. During his interviews with numerous companies, Joe spoke to Greg Henneke. Joe explains, “Greg was very welcoming and seemed like a great guy to work with.” Thanks to Greg, Joe chose to work at American Structurepoint, where he worked for five years and fell in love with transportation. After five years at American Structurepoint, Joe began to miss his hometown in southeast Indiana, so he took a new job offer that would allow him to work closer to home. Joe’s new job focused on site and civil, which provided valuable experience but made him realize how much he missed working with roads. He found himself comparing his new companies to American Structurepoint because they did not have the same approach Joe had once known. Joe missed his first home with American Structurepoint, but he could not leave the Cincinnati area. Craig Parks, a long-time friend of Joe, was in the Cincinnati area when he called Joe to have lunch. Craig then suggested Joe should work at American Structurepoint in the new Cincinnati office. While he was not looking to leave his current company, Joe knew he could have the best of both worlds with the new job offer. I’d like to welcome Joe back to the family! When asked why Joe loves American Structurepoint, he describes it as “good people doing good work for good clients.” American Structurepoint has an aggressive and refreshing approach to jobs with numerous free, independent, and out-of-the-box thinkers that American Structurepoint thrives on. American Structurepoint is like no other, which is why Joe had to come back! Joe notices that the only change in the company has been technological advances. The same ideals that American Structurepoint thrive on previously are still being implemented today. Joe is sure to provide his best work from conception to completion on all projects. He enjoys working on projects through the entire process and seeing ideas come to life for the client. Joe currently hopes to aid in the expansion of the Cincinnati office, and surrounding area, to grow the relationships in southeast Indiana and northern Kentucky. In the Cincinnati area, he is looking to start up a Women’s Transportation Seminar to help others. Joe is actively involved in his church community and is looking to adopt a new brother or sister for their four year old. Hoosier companies from throughout the state with stellar workplace practices were recognized Thursday, May 7 at the JW Marriott in downtown Indianapolis. Before a crowd of 1,200, the Indiana Chamber of Commerce unveiled rankings from the 100 companies that made the 2015 Best Places to Work in Indiana list (released in February). 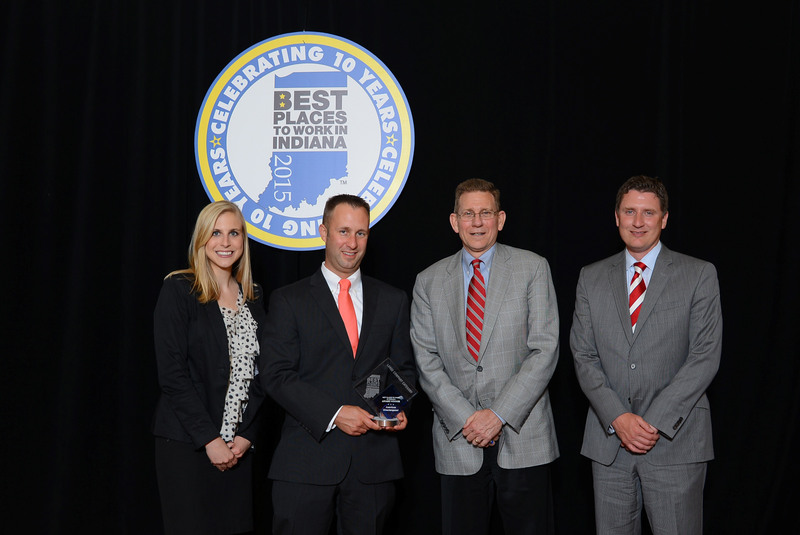 With almost 400 employees, American Structurepoint was recognized as the 13th Best Place to Work among large companies in Indiana. This is the highest ranking we have ever received, and we are also the highest ranking A/E company in our category! Our staff rocks! They are committed to making Indy a better place to live, work, and play, and it shows! Professionally, all of our employees exceed expectations on a daily basis and are always searching for new opportunities to really make a difference. The culture they promote drives our values to clients and this recognition is a wonderful validation of their success. Congratulations to our entire team for reaching such a great achievement and congratulations to all of the other companies mentioned that help make Indiana such a great place to live, work, and play! Meet Kendra York – the newest addition to the leadership team at American Structurepoint. Kendra serves as the director of planning and economic development. She brings more than 16 years of experience in client and project management of public and institutional finance for projects of all types. A licensed attorney in Indiana and California, Kendra most recently led the Indiana Finance Authority (IFA) as the public finance direction of the state of Indiana. She was responsible for the financing of several high-profile projects for the State, including Lucas Oil Stadium and the Indiana Convention Center expansion project. “I was responsible for bringing everyone together to get to that finish line.” said York. Kendra was appointed to public finance director by Governor Mitch Daniels. Most recently, she was reappointed under Governor Mike Pence. At American Structurepoint, Kendra’s primary role will be providing overall management and direction for the Planning Group. She brings extensive knowledge with respect to funding and innovative financing. She also has experience with P3 projects, speaking at conferences across the state and beyond on how to develop more opportunities and realize the full spectrum of economic development. “I’m excited to have you as my neighbor,” said Scott Fadness, Mayor of the City of Fishers. 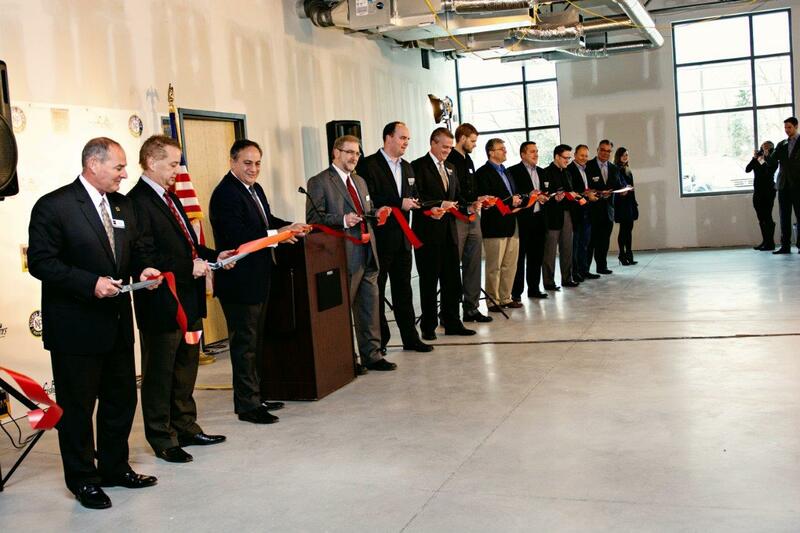 Mayor Fadness, along with Mejer Najem executives and the American Structurepoint project team, kicked off the dedication ceremony with nearly 120 people for the new Meyer Najem corporate headquarters in downtown Fishers on Thursday, January 29, 2015.